It’s also been a great ‘Myrtle week’. I dropped into A Different Booklist – one of Toronto’s best-known book stores. Owners Itah and Miguel introduced me to customers Shay Lin (holding a copy of Myrtle), an international student from China, and Qing, her mother. Earlier, CBC Radio interviewed daughter Lauren and me about Myrtle. Metro Morning host Matt Galloway and his team were terrific. They pre-interviewed us, and, when we arrived, made us welcome. Then they talked us through the journey the interview would take. 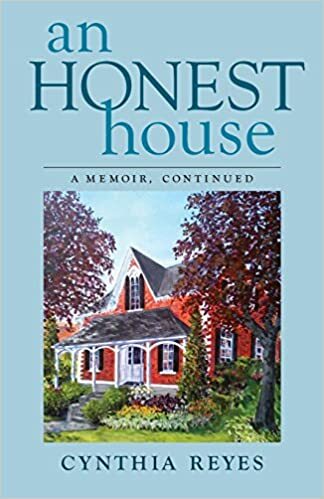 They were so kind, I suspected that someone in the team must have read An Honest House, which describes my struggles with PTSD, cognitive difficulties and pain following a car accident. So I asked producer Morgan Passi. Imagine my delight to discover that this is just the way they operate! Next, Lauren and I were skilfully interviewed by the wonderful host of Ontario Morning, Wei Chen. She greeted us warmly, made us feel entirely at home and the interview began. A few days ago, Seattle’s Allen J. Mears posted on Facebook a photo of his daughters, Megan, 8, and Hailey, 6, with Myrtle. I loved it! Thanks to the Mears family for allowing me to share it here. I love photos of children reading Myrtle, courtesy of kind parents and grandparents. In these photos, Ashly Dixon in Wisconsin is reading Myrtle to her daughters Denali, 9, Anika, 6, and son Vincent, 2, while their father Damien takes the photos. 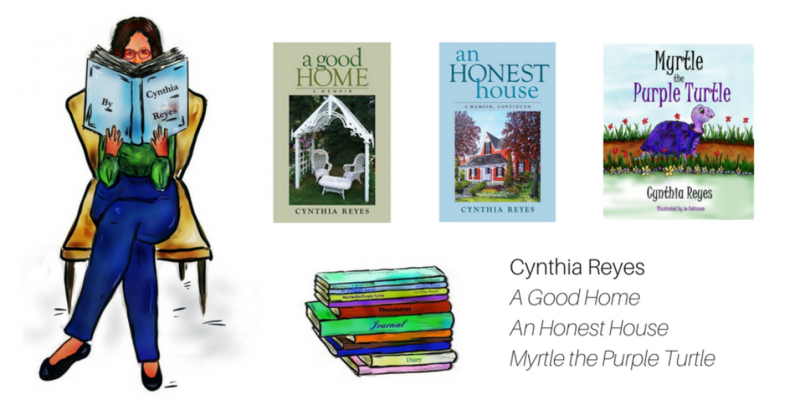 Ashly says they all love the book, including the brilliant illustrations and Myrtle’s “message of acceptance and knowing one’s self-worth” . And don’t you just love the pyjamas? Carl Randall, a veteran marathon runner, did something unusual to spread the word about Myrtle. He and his wife Jackie have brought Myrtle to libraries in various cities — including New York, where he recently ran the marathon. 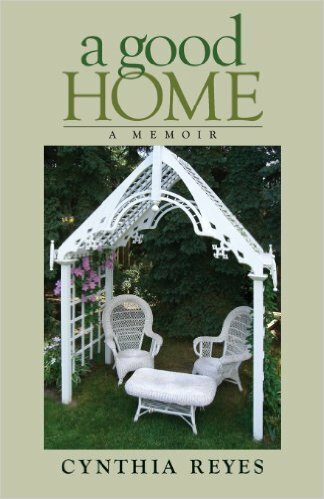 Finally, Kev Cooper – blogger, book reviewer, author and musician — has made Myrtle “Book of the Month” on his website, Books & Music. Wow, Kev! Thank you! Let’s face it: you have to really love books to own a bookstore these days. That’s what I say to Bob Newland, owner of Fanfare Books in Stratford, Ontario. Q. Owning a bookstore doesn’t seem like a way to get rich quick. Why do you do it? 1)The people- I get to hobnob with the most intelligent, erudite and well-read people on the planet. 2)The books- Everyday is Christmas! 3) Sundry satisfactions- While it doesn’t happen as often in reality as it does in The Little Paris Bookshop, every now and then someone will say that a book that I sold them years ago made a profound change in them. Often a book is a personal thing and it’s nice to think that I have made a difference, however small, in their lives. Thousands of people visit Stratford each year. It’s a beautiful city, with nature (including the Avon River) adding its charms. It’s also home to famous artists, the Stratford Shakespeare Festival and the Stratford Summer Music Festival, and it’s singer Justin Bieber’s hometown. Q: Who are some of the individual shoppers who have delighted you by coming to your bookstore? First Saturday in December is our sale day. We’ve been doing this for thirty years and it is usually the busiest day of the year. A couple of years ago, Colm Feore came in- as he sometimes does- and held half of the substantial crowd in thrall for about half an hour as he described how he grilled a steak. Now THAT`S entertainment! Bob’s mother, a teacher, fostered a love of books. He studied English literature and Bob managed bigger bookstores before buying Fanfare in 1989. Fanfare carries books by big-name authors such as Louise Penny, Alice Munro, W.O. Mitchell, Robertson Davies, John Irving, Timothy Findley, Nobel Prize winner Derek Walcott, Alan Bradley and others. Q: Why should readers and society in general value bookstores today? A: Books are the instruments that produce and preserve culture and civilization. Okay, it sounds like hyperbole but it’s actually true. The bookstore is a place of discovery. It’s where you discover passions that you didn’t know you had. It’s the place where serendipity happens. Also, taking text out of the equation, a well-made book is an object of beauty in and of itself. I love the look and feel of a book where the designer had the talent, patience, awareness and materials to make something special. Courage is contagious, you know. One person’s courage infects another. I see this every day in our blogging community. We en-courage each other — with our dreams, creations, projects, relationships, life. Even telling someone: “I know you can do this”, can make the difference between that person’s stepping forward or drawing back. And there are other groups that we each belong to. Like my writers group, Spirit of the Hills. My email group, The Loopers. My church group at St. Thomas’ Anglican. We do so when we ourselves act with courage, though scared inside. We do it when we convince someone that — yes — you can do the thing that frightens you. Eva and friends en-couraged me, and I took the risk. My husband and I supported artist Don Corbett as he prepared for his art show in 2014, not knowing that Don planned some encouraging of his own. He invited me to do a reading at his show, then gave me a painting (see top photo). At various times in our lives, everyone needs to be encouraged by others. This post is dedicated to everyone who helps others to be courageous.